The Brooklyn Folk Festival Approaches! 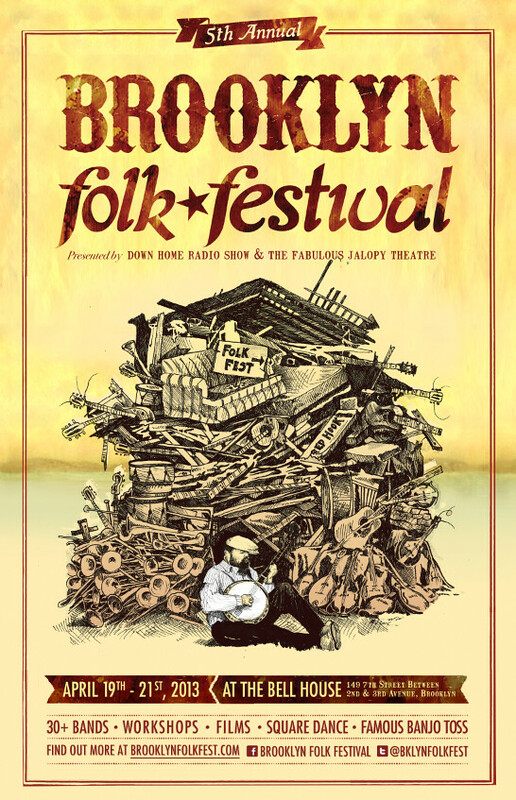 Down Home Radio Show Host Eli Smith and The Jalopy Theatre are proud to announce the 5th Annual Brooklyn Folk Festival coming up on Friday, April 19th through Sunday, April 21st!Come out for three days of music at the Bell House, 149 7th Street, in the heart of Brooklyn’s Gowanus neighborhood. The festival includes performances from more than 30 local and national bands in the fields of old time music, blues, early jazz, country, bluegrass, klezmer, Balkan, Mexican traditional and more! Plus a variety of instrumental and vocal workshops, folk music related film screenings, a family friendly square dance, and the return of the famous banjo toss competition!